India has 12 major ports and 64 minor ports handling Export Import cargo strategically located on the world’s shipping routes. 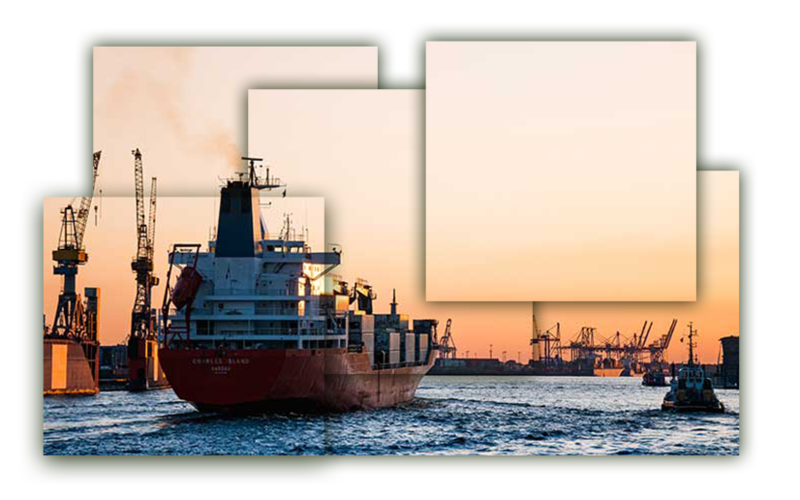 Around 70% of India's trading by value is done through maritime transport. The country’s major ports handled a combined traffic volume of 647.76 million tonnes during 2016-17, registering an annual growth rate of 6.80 per cent. With a vision to reduce logistics cost for EXIM and domestic trade with minimal infrastructure investment Government has launched the Flagship programme for Indian maritime sector, namely Sagarmala programme. 1. May 2017 - DP World Pvt. Ltd,world’s fourth biggest container port operator, plans to invest over USD 1 bn in India, which will be used for augmenting its port-related operations. has received up to USD 220 mn in FDI in the last two years. 2. March 2016 - NCY Equity Growth and Niche Investments Holding Pvt Ltd have invested up to USD 441 mn in Indian company Sterling Port Ltd.
3. August 2015 - PSA International of Singapore started building the country’s largest container terminal at JNPT terminal. The project is valued at USD 1.2 bn and is going to be developed in two phases, each phase adding 2.4 mn TEUs (Twenty-foot equivalent unit). The first phase is targeted to be completed in 2018.